No More Excuses! Pencil clips allow you to keep a pencil handy at all times for marking your part. 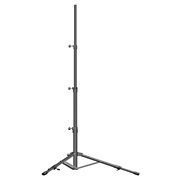 Fits any tube with a 24 to 26mm diameter. 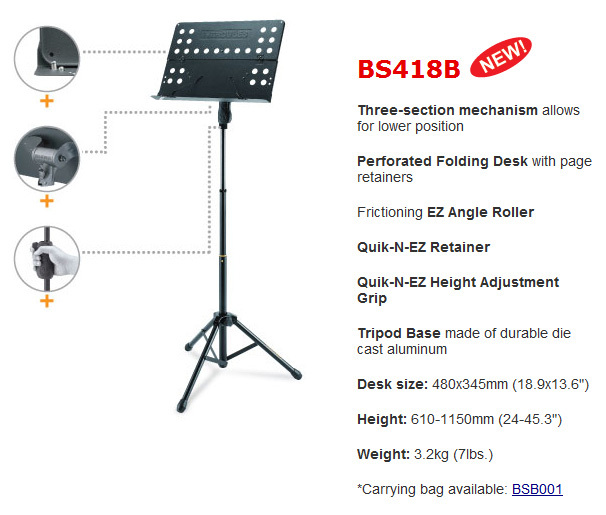 Useful on orchestral music and microphone stand mainshafts, as well as euphoniums, tubas and all bass trombones (plus Edwards brand large bore tenor trombones). Holds a standard wood body pencil. No More Excuses! Pencil clips allow you to keep a pencil handy at all times for marking your part. Fits any tube with a 20 to 22mm diameter. 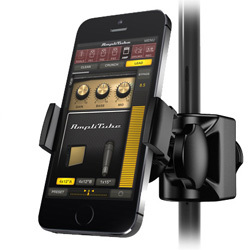 Useful on some orchestral music and microphone stand mainshafts. 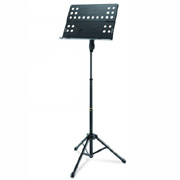 Fits all alto and tenor trombones exceptlarge bore Edwards tenor models, plus many euphoniums and tubas. 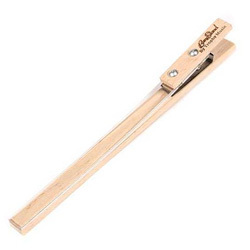 Holds a standard wood body pencil. No More Excuses! Pencil clips allow you to keep a pencil handy at all times for marking your part. 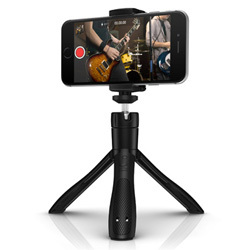 Fits any tube with a 13-15mm diameter. 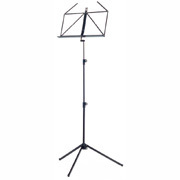 Use on trumpets and french horns, and many folding music stands. Holds a standard wood body pencil. 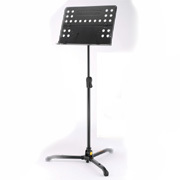 Handcrafted maple music stand - extended height. 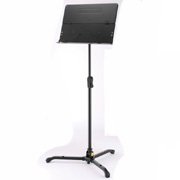 Black nylon and vinyl bag is designed to fit Hamilton KB400 folding music stands. 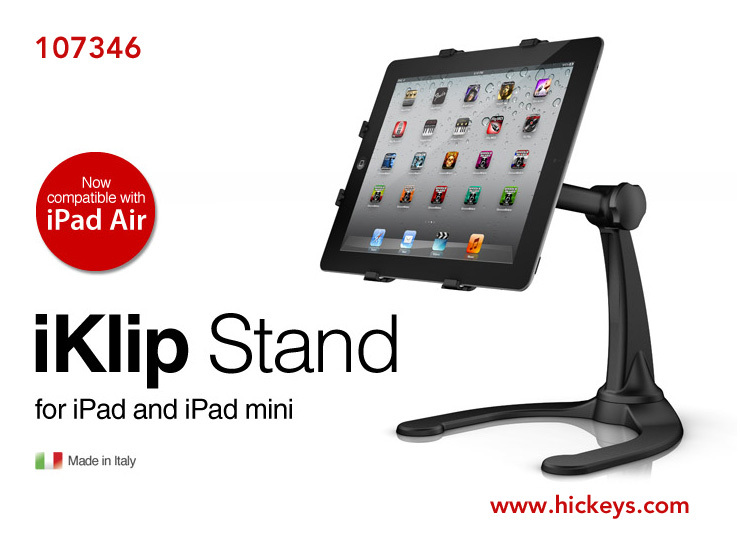 One of the most versatile and reliable iPad and table holders on the market. 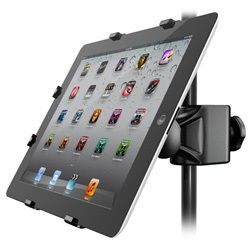 The spring loaded holder can be used on a desktop or is stand mountable. 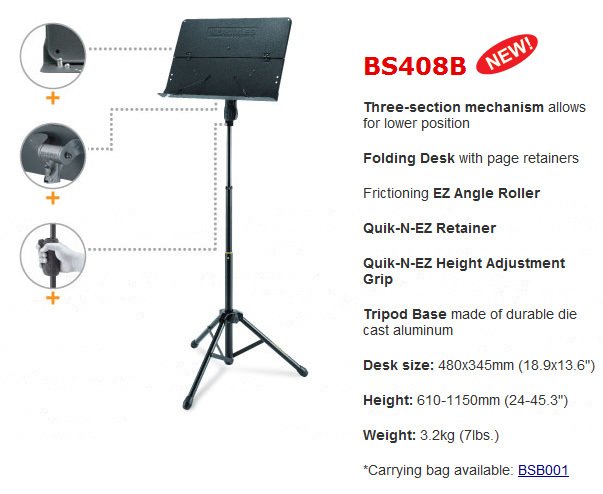 This bag will fit the Hamilton Trumpet Stand KB50 and KB990. 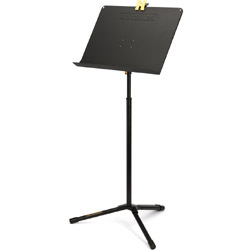 Our most basic music stand. 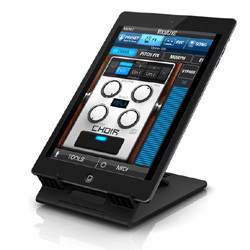 The KB400N is a two-section, chrome plated model with a detachable fixed-angle desk. The desk is 14" wide by 11.25" high. 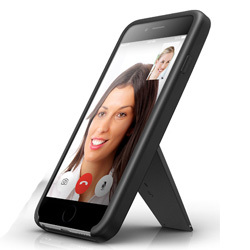 The stand is adjustable from 39" to 55" in height, and folds to 21.5" when not in use. Made in USA. 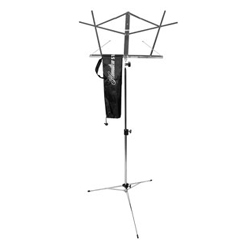 Hamilton Stand Bag sold separately (item 16776). Desk portion only of the Hamilton KB-2. 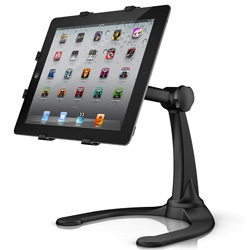 This stand is especially useful for propping music upright on a tabletop. 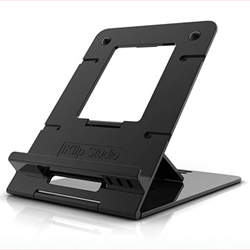 Good also for holding books (especially cookbooks!) open for reading as well. Made in the United States. 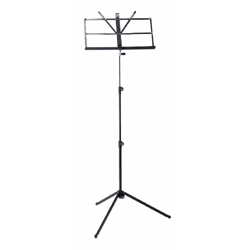 One piece folding music stand. 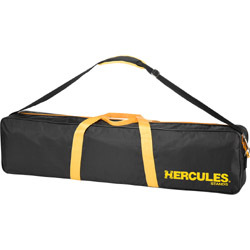 Carrying bag for BS300B, BS301B (sku 86197), BS311B (sku 86198), BS401B, BS411B, BS403B, BS413B, BS405B, BS408B, BS415B and BS418B. 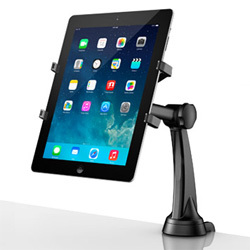 The HERCULES Symphony Stand BS200B with simple one-handed height adjustment with the EZ Grip feature. 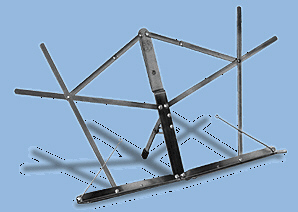 Solid construction, stores easily on the BSB800 rolling cart. 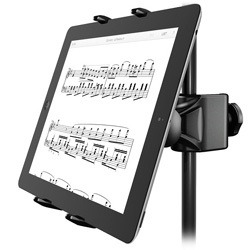 Collapsable and portable professional music stand. 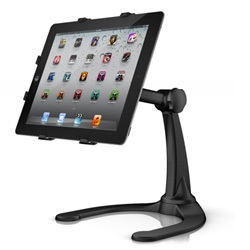 The HERCULES Symphony Stand BS00B with simple one-handed height adjustment with the EZ Grip feature. 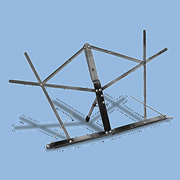 Solid construction, stores easily on the BSB800 rolling cart. Weighs under 7 lbs. and holds 11 lbs. of music. 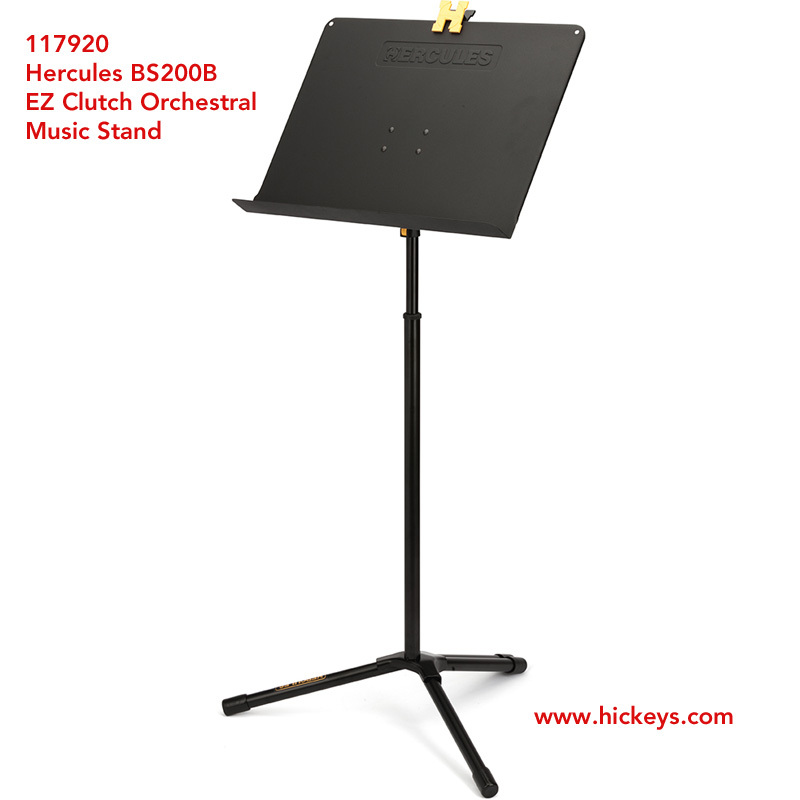 The HERCULES Music Stand Cart BSC800 can hold up to 12 pcs of BS00B Music Stand and is perfect for optimizing storage in a busy band room. Music Stand - Band Front - Director Stand - Sitting Brass 36 in. 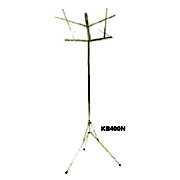 Replacement knob for K&M (and other brand) instrument and music stands. Metric M5 thread x 9mm in length. 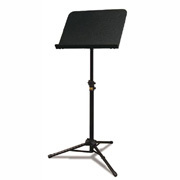 Replacement knob for K&M (and other brand) instrument and music stands. Metric M6 thread x 12mm in length. 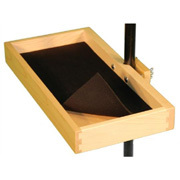 Replacement knob for K&M (and other brand) instrument and music stands. Metric M6 thread x 14mm in length. 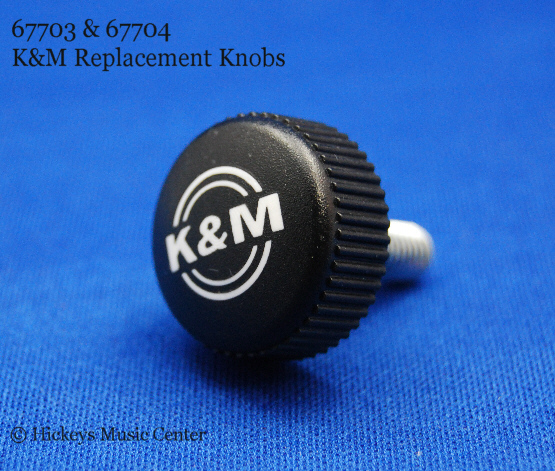 Replacement knob for K&M (and other brand) instrument and music stands. Metric M6 thread x 15mm in length. 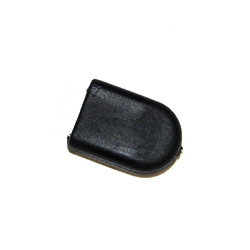 This knob is a replacement for that used to secure the bell cone on the K&M bass trombone stand model 14910 (our 023698). 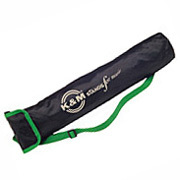 Medium sized black nylon bag fits all K&M model "100/1" series stands. 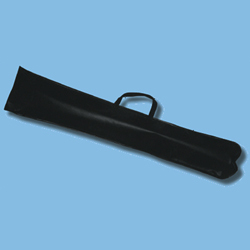 Item is 21.5 inches long and 6 inches wide when lying flat. When open, it makes a tube approximately 4.5 inches in diameter. 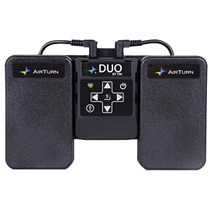 Includes an adjustable shoulder strap and a pocket for ID information.